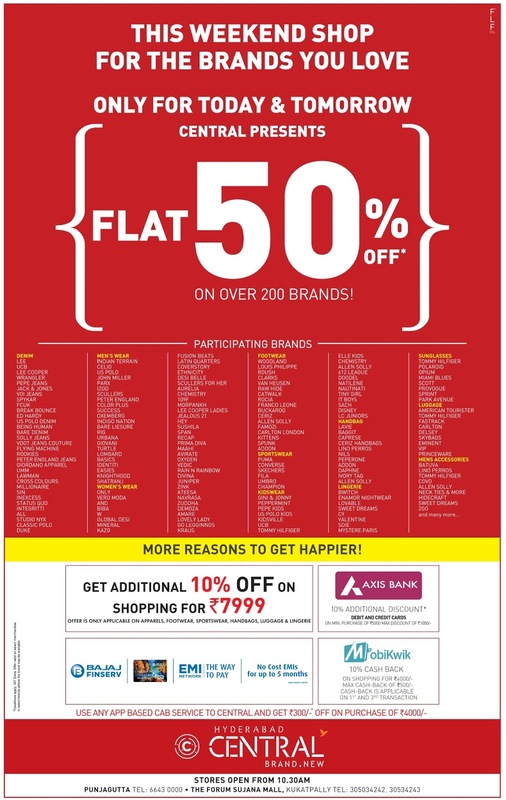 Flat 50% discount offer in Central. valid for 16 to 17th July 2016. 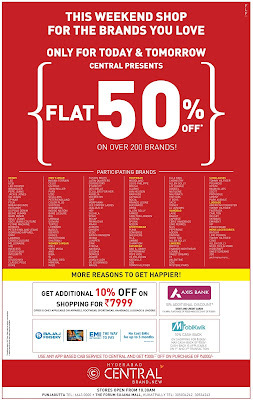 Get additional 10% off on shopping for Rs 7999.